SafeDrivePod offers a complete solution that ensures the smartphone screen is locked during driving. The SafeDrivePod itself, mounted somewhere in the vehicle, sends out a wireless radio signal to indicate when the vehicle is driving. A powerful app running on your phone that shuts off all access to apps when you are driving. You are allowed to make hands-free phone calls and use your navigation apps. An important aspect of our concept is your safety. Your manager made a deal with you to get you and the car home safely. He will get informed about how you use the SafeDrivePod system. The innovative solution to reduce distractions while driving. SafeDrivePod provides insight into the behavior of your employees. Fleet managers want their people to arrive home safely every day! Fleet managers want their drivers to arrive home safely every day. Instead they deal with increased numbers of car accidents and increased cost of claims. An alarming 25% of the total cost of car damage is related to the driver being distracted by his or her smartphone. SafeDrivePod prevents smartphone caused distraction during driving. SafeDrivePod offers a complete solution that ensures the touch screen of the smartphone is blocked during driving. A SafeDrivePod in each vehicle ensures fleet managers that drivers cannot use their smartphones during driving. This leads to a reduction in car damage and cost from claims. Above all, it contributes to improved road safety and more certainty that employees will arrive home safely. Driving Towards a Safer Future Bringing together over 150 delegates, including senior representatives from the UK’s leading insurers, regulators and motor manufacturers. Nearly half of drivers between 25 and 34 admit "returning to their old ways," the RAC says, a 7% increase on the year before. Brussels: Will smartphones be forbidden while driving? Using the smartphone while driving can be done in the Belgian capital. The Brussels Region is working on a digital tool to block smartphones so drivers can not use them while they are at the wheel. Using a hands-free kit will remain possible. SafeDrivePod and 5 other finalists will face the judges in Oman. The driver receives a package at home or at the office containing the hardware (a matchbox-sized pod) and an instruction manual. The driver registers on the SafeDrivePod app. The driver downloads the app on his smartphone, enters his credentials and connects the app with the product. The driver places the product in the car, for example, in the glove compartment. The use of the product is relatively easy enabling much lower customer IT support costs. How does it work in the car? The combination of pod, app and server make it hard to tamper with the system. The smartphone has entered our lives and it seems we cannot live without it, not even when we are driving. Although we know we should not do it, we immediately tend to respond when we hear a notification of a new message. Countries have regulations that prohibit smartphone use during driving but the authorities are not able to enforce these regulations at all times. There are tools in the market that help you to avoid distraction but each of these tools can easily be avoided. The combination of the three elements (hardware, software and server) make SafeDrivePod a unique and innovative tool and the only product in the market that cannot be tampered with without knowing. SafeDrivePod provides a return on investment (ROI) within one year by reducing cost. The estimated ROI is about 4:1, so it is not only an investment in safety! Enable your employees to arrive home safely! A SafeDrivePod in each vehicle ensures the fleet manager that drivers can only use their smartphones for hands-free calls during driving. This leads to reduction of car damage and claim cost reduction. Above all it contributes to improved road safety and more certainty that employees will arrive home safe. SafeDrivePod is good business, good employment practice and good social responsibility! Although it is difficult to get the hard numbers, for obvious reasons, it is estimated that 25 percent of all car accidents happen because the driver was distracted by his or her smartphone. A third of all employees are texting while driving and 30% of this group experienced a near-car accident as a result of texting. The experience did not change their behavior! Employees tend to continue texting and swiping whilst driving. Business drivers that use their smartphone during driving are younger than the average business driver and almost half of them (46%) are under the age of 41. 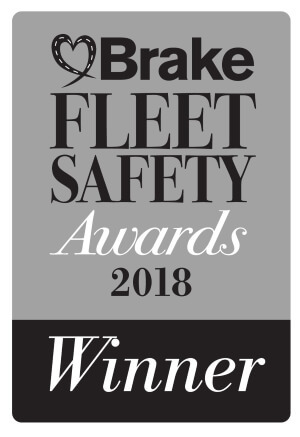 As a major leasing company with over 35,000 cars on the road, we feel a responsibility for the safety of our drivers and other traffic participants. With our customers, we also see the tendency to pay more and more attention to the driving behavior of their employees. We think that is a good development and we support them in different ways. One of the ways is to make the SafeDrivePod available. This counteracts the techniques that apps use to keep the consumer ‘engaged’. SafeDrivePod is an effective means for companies that want to go further and ensure traffic safety not only by relying on the driver’s discipline. Liam Donnelly, General Manager Arval Nederland B.V. The G4S security company is committed to creating a safe working environment for its customers and employees on a daily basis. Every day we have an average of 800 vehicles on the street. In addition to the safe road program, we also offer our employees the inclusion of SafeDrivePod, an excellent preventive solution, which helps to reduce the risk of accidents. I recognize the rising number of traffic casualties in the Netherlands as a major social problem. The rise is mainly due to distractions caused by the use of the smartphone. As a company, we feel responsible for the safety of our employees and those of other road users. That is why we want to promote a safe driving style. SafeDrivePod plays an important role in this. That is why it was a logic choice for us to provide this smart technical solution to the over 700 lease cars of the Canon employees who are on the road every day. Joop van Boerdonk, Managing Director Canon Nederland N.V.
Paul Hendriks is initiator and founder of SafeDrivePod. He is the driving force behind the commercial success of the company. Dr. Erik Damen is co-founder and the technical brains behind the product. He has years of experience in product development and software.